Yesterday, I received a letter from CollegeAdvantage, the Ohio 529 college savings plan, regarding lowered cost for the Vanguard portfolios. The letter says starting February 1, the total administrative cost for the Vanguard options will be reduced by 0.02%. This is a welcome news, though the reduction is tiny. I set up a CollegeAdvantage account for our second daughter last June and have been making monthly contribution since. For an investment that we will hold for at least another 18 years, even a little decrease in fees will help. Meanwhile, the letter also informs us that the investment option we are using, Vanguard Aggressive Growth Index Portfolio, will increase its international stock allocation from 15% to 20%, another good news. Given how much international stocks have outperformed US equities in recent years, a bigger share of international stocks will boost the return of the portfolio. It seems that the concept of building trader’s community is quite popular these days, not just from those brokerage firms which have the natural advantage of turning their account holders into community members. The basic idea of the community is to share your holdings and trades, not what you say you own and trade, but what you actually own and trade, with others. A while ago I first joined Zecco’s ZeccoShare when it was in its beta stage. At that time, I thought it was a good idea to see what others buy and sell. However, I never really got the time to participate in the community. Later on, I received an invitation from Covestor.com, another trade sharing service provider, to become a member. 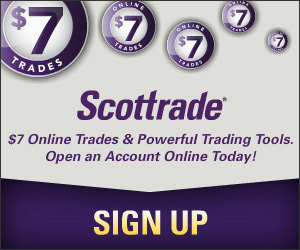 I did join and even uploaded my trading records with Scottrade. However, the process of fully joining in was never completed after they asked me to provide a statement to prove that I indeed own those stocks. In the new Community, when you create a blog post or a “trade note,” other Community members have the option of voting for your contribution as a “good post.” We’re keeping track of the voting and will have the running tally displayed on its own page. Entered into one of four weekly drawings to win a share of Google! Eligible to win the Grand Prize Cakefolio â a diversified portfolio including GOOG, AAPL, QQQQ and more. Are you a member of any community? Do you like the idea of real-trade sharing? Sun, it’s always great to see a post about how social investing sites are popping up and changing the way everyday investors are trading. All of these sites are doing something really interesting with the collective intelligence of their investing community. You should take another look at ZeccoShare and really dive into some of our groups and discussions. I keep finding fascinating people that are performing really well and have insightful things to say. And when you do, let us (or at least me) know what you think.